pagmina : Things I'm loving now- five on friday! Things I'm loving now- five on friday! I've been a disheveled mom wearing stretched out sweatpants and random stretched out shirts to bed (I just stopped wearing nursing tanks even though I haven't nursed in 4 months!) BUT for Christmas my mother in law gave me these!!! They are so soft and cozy and it's amazing how much better I feel in matching pjs! Then I went to Old Navy and got a few more pairs so I would have a rotation! How is it that every time I go in there I find more mugs that I need? And I don't even use mugs! Can they please make some adorable decorated iced coffee cups?! Obsessed and so is Carter! If one falls off, he stops everything and points to the fallen shoe and says "Tom". Playing cannot resume until it's back on! Love it! his latest pair that I'm obsessed with! For months I've been thinking about getting some Hunters. I ordered a pair from Nordstrom- way too big, got another pair- too small, ordered a different color- not worth $150. (Thank you free shipping/free returns!) I thought it just wasn't meant to be, especially for the $$$. But then a few weeks ago I walked into Costco and it's like a choir started singing as I saw the $75 sign hanging above them! I couldn't get my shoe off fast enough! I decided the size 7 would be just right and threw them in the cart as an early Christmas present to myself. I have loved every rainy/ snowy day since! Never again will I suffer a wet, dragging hem sticking to my leg for hours after being in the rain! If you don't have a pair then go read this blog. She will convince you that you NEED them, like yesterday! Thanks to Darci, Natasha, April, and Christina for hosting Five on Friday! Yes on the matching PJs. I acquired 3 sets over the holidays and feel so much more put together at night... no matter how ridiculous the print may be. Love the Anthropology mugs too! I almost bought the gold one around the holidays, but those might be even cuter! I love the Pjs...I just had a baby so I am wearing the nursing tank tops but try to wear my pjs on top!! 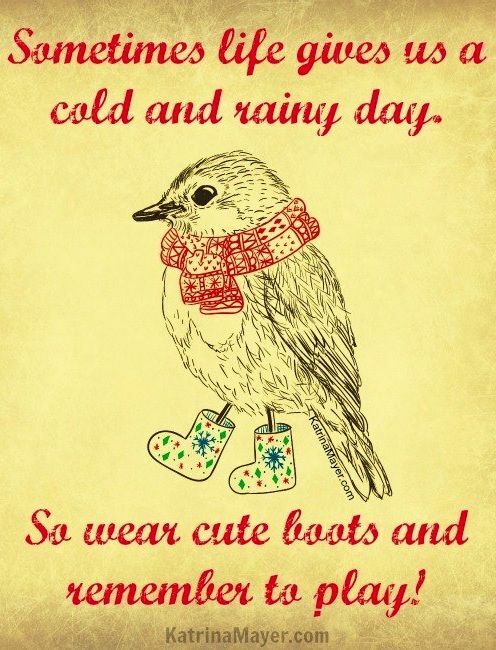 I also love the Hunters Boots and Costco!!! Costco always has amazing deals.. I found your blog on 5 on Friday!!! Yes, yes, yes to all of this! Stopping by from the link-up. My hubby asked what I wanted for Christmas, and I said, "Matching PJs!" I'm so over ratty t-shirts and random pants from high school. Haha. Those mugs are super cute! Love your blog! I am new to your blog from the link-up. I have read a few pages back now and I am hooked. Will be following. I love that you are a working mom and that you share your real struggles with readers. Have a great weekend! I have been living in my flannel pj's form target this Christmas break! Those mugs are adorable.. I might need to add them my collection as well. I found you through the link-up and am excited to start following your blog! Those tiny toms might be the cutest things!! I may have to do some research on these and get my boys a matching pair. LOVE those mugs!!! I found a fabulous girl to help design my blog from seeing her services listed on Etsy- she does a la carte items and the prices were UNREAL! hunters @ costco ?!?! WOW!!!! enough said. found your blog via the link up…i'll definitely be stopping by to read more! Aren't pajama sets the BOMB?! I lived in them during Mason's first year - they were perfect for nursing and I wasn't sleeping much so being comfortable was a huge priority! I got Mason some baby corduroy Toms when he was about 8 months... they didn't last long because he grew so fast by oh my word, they were cute! I love Anthro's mugs and kitchen wares because USUALLY it is reasonably priced and I can afford it! Just read about the Hunters... I want them now! But which color... crap!